From the ‘Unusual things to do in Sicily’ series. 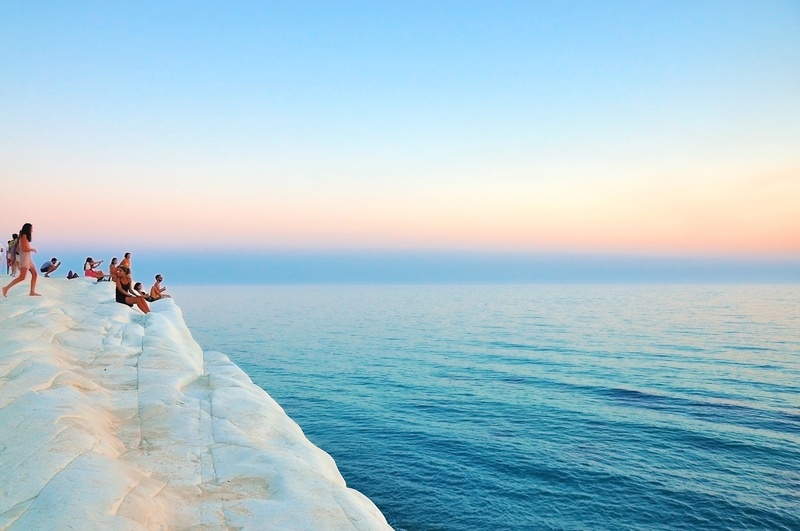 Scala dei Turchi is one of those places in Sicily whose images circulate the internet all the time, tempting, almost begging you to set foot on these glittering, unreal white rocks. There’s no doubt you’re in for an unusual beach experience when you head to this stretch of coast, which is set on a natural Sicilian staircase. The name Scala dei Turchi translates as the ‘Stairs of the Turks’, referring to the Moorish and Turk pirates who used to attack the island at these cliffs. If you climb the stairs a bit further to the west, you will reach a small bay where the pirate ships used to berth. This beach is less known and less crowded. Scala dei Turchi in Realmonte, Sicily. 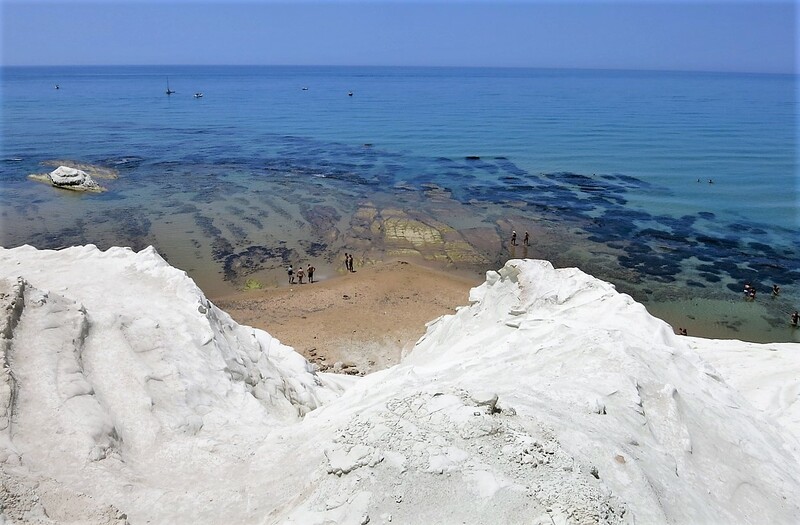 How was Scala dei Turchi formed? The bright white of the rocks is impossible to look at on a sunny day and you’ll have to put your sunglasses on to appreciate it in comfort. The teamwork of the elements has created this miracle – the color is due to the sedimentary marl rock, while the soft, wavy curves are a result of the wind and the sea. The cliff lies between two beaches, which is convenient if you want to feel sand between your toes. Scala dei Turchi, Realmonte, Sicily. While in Realmonte, visit the amazing underground salt mine, which features a church hewn into the rocks and walls adorned with natural dark and light stripes. 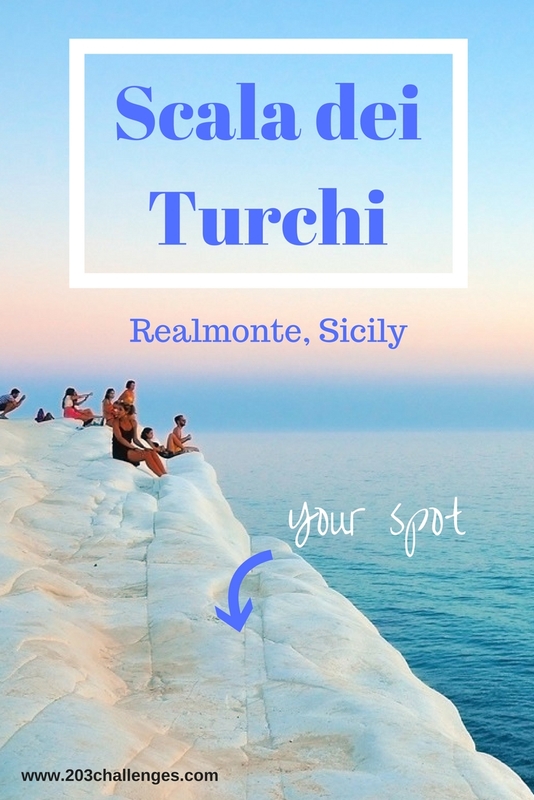 Scala dei Turchi is located between Porto Empedocle and Realmonte. 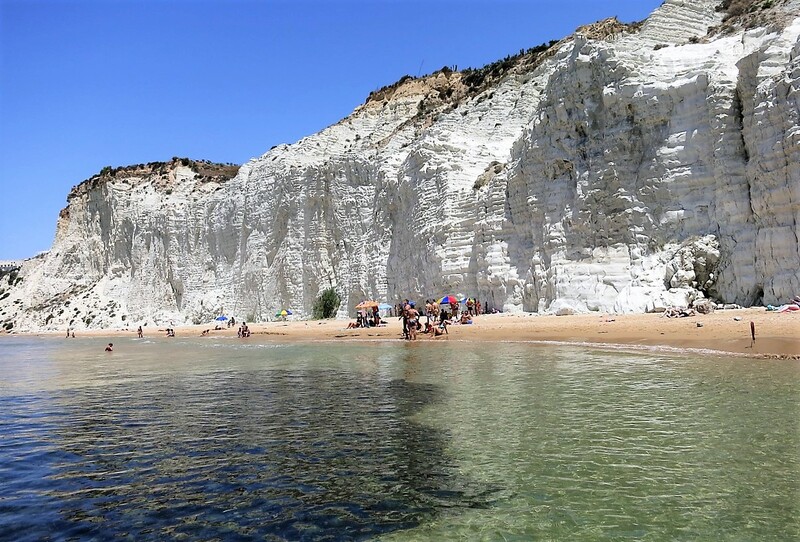 In the summer, there is a shuttle bus from Porto Empedocle to Scala dei Turchi. Otherwise, you can reach the site by taking a 30-minute walk from the center of Realmonte. There’s a parking lot, a few B&Bs and villas, and several places to enjoy a meal with a view. Scala dei Turchi is 9 mi/15 km from Agrigento, 87 mi/140 km from Palermo, 110mi/180 km from Catania and 140 mi/230 km from Syracuse. My friend and I will be visiting Sicily from New Zeland in June and have read about the amazing underground saltmine with a Church hewn into the rocks and wall adorned with natural dark and light stripes . I also read where it is a working mine and tours are not really possible? 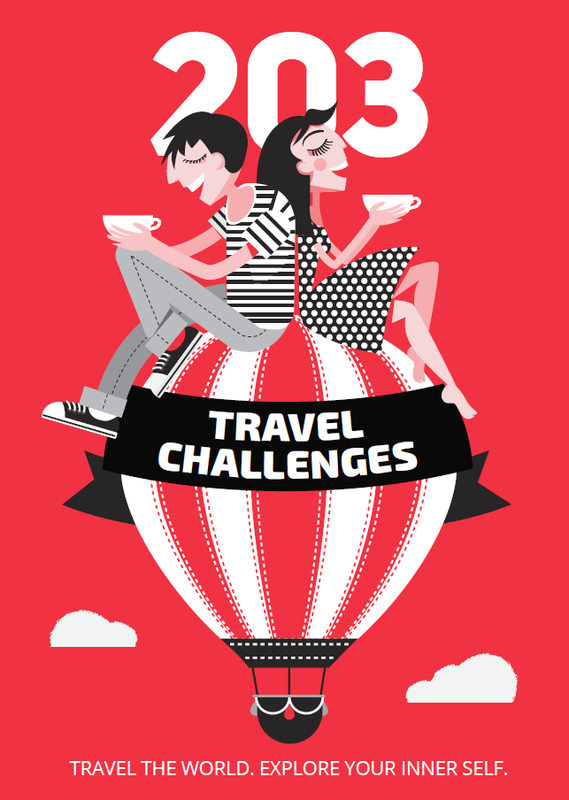 As we are only there for 7 days and coming from so far we would like any help to book a tour …….HELP with organising this please. Cheers Sue and Mary .